At the World Trade Organization Council for Trade-Related Aspects of Intellectual Property Rights (TRIPS) – which met on 13 February and finished in one day – discussions on IP and innovation, and IP and the public interest delineated points of views but also provided concrete examples of successful use of public-private partnerships, and use of competition law to prevent excessive pricing. During the TRIPS Council, the WTO announced the launch of a new TRIPS notification submission system, which is an optional online tool for WTO members to submit notifications. According to the WTO, through this system members will be able to submit newly passed laws and regulations relevant to TRIPS. However, traditional methods of notifying will remain available, it says. Australia, Canada, Chile, the European Union, Hong Kong, Japan, South Korea, Singapore, Switzerland, Taiwan, and the United States submitted an agenda item on intellectual property and innovation. This group, which varies slightly between sessions, chose a theme of discussions for 2018: the societal value of IP in the new economy, and announced at this session of the council the 2019 theme [pdf]: public-private collaborations in innovation (IPW, WTO/TRIPS, 11 February 2019). The European Union, in its statement, talked about the Horizon 2020 programme, the largest EU research and innovation programme to date, with some €80 billion of funding available over 7 years (2014 to 2020), according to the programme website. The delegate said the fact that the programme attracts and involves the private sector, in particular small and medium-sized enterprises, is a necessary precondition for the achievement of innovation and economic impact. Horizon 2020 generates large numbers of high quality, commercially valuable patents and other intellectual property rights. The initiative also supports the deployment of innovative solutions supporting the commercialisation and diffusion of innovation, including hundreds of prototypes and testing activities, as well as numerous clinical trials. The first Horizon 2020 project, “STEELANOL,” is producing bioethanol from steelmaking process emissions. A demonstration plant of approximately 25,000 tons/ethanol per year will be built in Belgium, the largest facility built to date utilizing this technology globally. For Switzerland, public and private collaboration should benefit from a well-regulated and balanced distribution of rights and obligations. Public sector research should complement rather than substitute private sector research, and public-private partnerships should result in an enhancement of the social value of IP, the Swiss delegate said in his statement. Switzerland supports innovation, in particular start-ups, and platforms of public-private collaboration provide the necessary environment to facilitate the exchange of knowledge and generate synergies, he said. The Swiss delegate mentioned the Swiss federal programme BRIDGE, which provides for funding opportunities at the intersection of basic research and science-based innovation for researchers. He also underlined the importance of private investors for small start-ups in the development of market-ready products, in particular in areas of technology development requiring massive investments. Quoting 19th century author Oscar Wilde saying, “The world is divided into two classes, those who believe the incredible, and those who do the improbable,” the Swiss delegate said public-private collaborations in innovation can bring those two classes together for the benefit of technological progress and economic development. IP rights help create conditions enabling individuals and business to experiment new approaches and solutions, which benefit society as a whole, he said. The “fruits of human ingenuity” should be enjoyable as widely as possible worldwide, while preserving proper incentives and rewards for innovators and creators. The Brazilian new administration “intends to put in place a number of structural reforms” aimed at integrating Brazil in the world economy, and developing a “much more effective IP system to convert innovation and creativity into tradable commercial assets.” The Brazilian delegate underlined the usefulness of public-private partnerships, and the success of different such partnerships established in the country. South Africa remarked that the effects of IP rights on economic growth in different countries depends upon their various stages of development, adding that the economic literature on the impact of IP rights is “rather inconclusive.” “It remains ambivalent as to whether the social benefits of IPRs exceed their economic costs, even in relation to the developed world,” the South African delegate said in his statement. Developing countries are net importers of technology, with the top ten developed countries accounting for 84 percent of global research and development activity, he said. Developing countries then face the increased cost of patented commodities, without the patent system stimulating local innovation, he added. The delegate also underlined the issue of access to education in developing countries, facing high quality textbook scarcity, affecting the quality of education. He added that more than half of the world’s population remains offline, with the broadband divide “ever wider”. “IP rights are only useful to businesses if they can use IP protection to generate innovation. This requires financial resources,” which micro and small and medium-sized enterprises might not have, he said. A newer item on the TRIPS Council agenda relates to IP and the Public Interest. This week, South Africa submitted an item [pdf] on intellectual property and the public interests, and in particular how to promote public health through competition law and policy. No other countries co-sponsored this item. In its statement, Indonesia said that its law of 1999 prohibits monopolistic practices and unfair business competition among business actors. “In the health industry of a country of about 260 million people, ‘pricing abuse’ often occurs in the pharmaceutical sector, where the price of drugs and medicine tends to be very high,” the Indonesian delegate said. “It happens because drugs are considered as inelastic goods, where prices and demand do not affect each other. Such condition created a notion in Indonesia that the price of drugs must be controlled to prevent further abuses and most importantly to protect consumers and public interest,” he said. The Indonesian government created a regulation setting an upper limit for drug pricing, he explained. It is essential that existing IP rights not be employed abusively, harming competition and innovation in the short term at the expense of IP users, said the Brazilian delegate. Competition law plays a key role in ensuring that the exercise of exclusive IP rights do not give rise to anti-competitive practices, he added. Innovation is key to achieving the United Nations 2030 Agenda goal of improving the health and well-being of all people, he said. However, he added that access to medicines is still a vivid issue, he said, in particular for people living in middle-income countries. The use of competition law to curb abusive conducts is in line with several provisions of the TRIPS Agreement (Article 7, 8.1, 31(k), 40), the Brazilian delegate said. Competition law can be used to fight strategies used by some companies aiming at extending patent protection for their drugs, and prevent market entry by generic competitors, he said. The Brazilian antitrust authority, the Administrative Council for Economic Defense (CADE), found Eli Lilly of Brazil, and Eli Lilly and Company guilty of sham litigation in order to obtain exclusive marketing rights for a medical drug used in cancer treatment in 2015. According to sources, the United States, the EU, and Switzerland tried to deter the TRIPS Council from discussing competition law. No competition cases of excessive prices related to IP rights have been addressed by EU competition authorities, he said. Interventions which have been made were consequent to market failure, and concerned older, off-patent drugs, some of which increased by up to over 2000 percent. The EU cooperates with other national authorities on competition policy and enforcement issues, in particular in the context of the International Competition Network, the delegate said, adding that the TRIPS Council is not the appropriate forum to discuss competition policy. Competition and anti-trust law are concerned about possible abuse of market power, not the underlying IP rights, according to the Swiss statement. It is misleading to refer to competition law as a TRIPS flexibility, the Swiss delegate said, explaining that competition law is “not to make inroads or provide exceptions” to IP rights or their protection. This view was shared by the EU. A patent does not grant the right to demand a specific price, “not to mention excessive ones,” he said, noting that excessive pricing may occur irrespective of whether or not products are protected by patents. 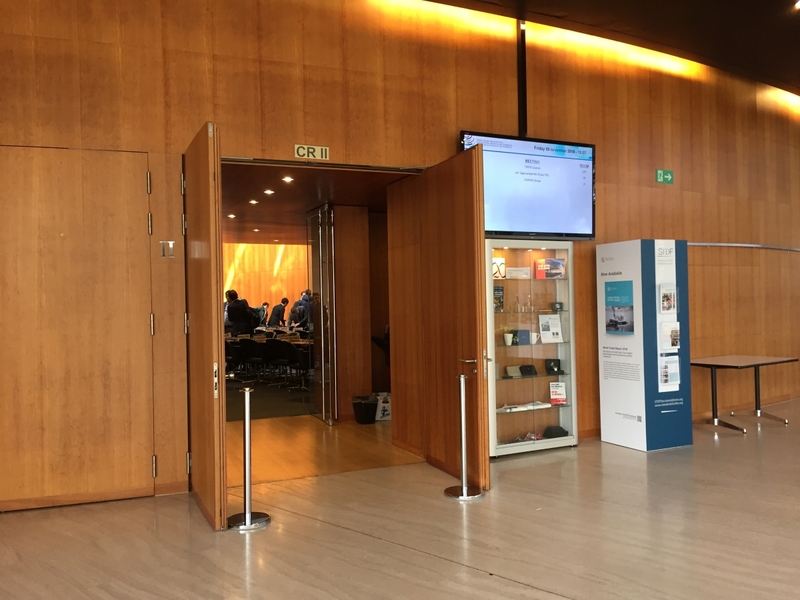 "WTO IP Council: Praise For Public-Private Partnerships, Use Of Competition Law To Fight High Drug Prices" by Intellectual Property Watch is licensed under a Creative Commons Attribution-NonCommercial-ShareAlike 4.0 International License.